While last week’s section (2:1-10) covered more of an individual perspective of salvation, the apostle Paul will now discuss the corporate aspect of our salvation in 2:11-22. This passage is the heart and soul of the letter as well as the theological basis for Paul’s practical applications in chapters 4 through 6. Also, the repetition of certain terms such as “peace,” “one,” and the “far” being brought “near,” confirm that the overarching message of 2:11-22 is all about reconciliation of once hostile parties (this includes both horizontal reconciliation: peace and fellowship between ethnic groups and vertical reconciliation: peace and fellowship between God and man). After centuries of hostility between Jews and Gentiles, Paul saw the need to explain how reconciliation was made possible and why believers in Christ should get along and dwell together in unity. The apostle previewed Christ and His body in Eph. 1:22-23 and will now develop the “body” metaphor which describes an amazing spiritual reality and unveils a profound mystery—when two become one (cf. Eph. 5:32). *Considering the rather unfruitful evangelistic enterprise of Paul in the synagogue at Ephesus (Acts 19:8-9) and his productive engagement with Gentiles in that city (19:19-20), it is likely the Ephesian church had a Gentile majority" (Kuruvilla, 67, footnote, 2). **See Deuteronomy 7:6; 14:2; 32:9. These passages confirm that God (YHWH) had a covenant relationship with Israel alone and the rest of the nations were excluded. In a previous age/dispensation, when God entered into a covenant relationship with Abraham, He required that every male be circumcised as a “sign of the covenant” (Gen. 17:11). However, instead of keeping the spiritual meaning of this outward sign and reaching out to the world, Israel continued to rebel against God and used the physical act of circumcision as a way to look down upon the Gentiles (“uncircumcision”) and keep their distance from the heathen nations. *Paul calls attention to the new creation in Eph. 2:10, and he will emphasize it again in 2:15. Also, in a letter that closely parallels Ephesians, the apostle Paul affirms that a spiritual circumcision is superior to one made by human hand, “In him [Christ] you were circumcised with a circumcision made without hands, by putting off the body of flesh, by the circumcision of Christ” (Col. 2:11, ESV). * Thus, physical circumcision represents the “cutting off” or removal of the sinful flesh, the old corrupt nature, in favor of the “new man” (Eph. 2:15; 4:24). *The Greek word cheiropoietos, found in Col. 2:11 and translated in Eph. 2:11 as "made in the flesh by hands," is Paul's way of communicating the inferiority of physical circumcision in comparison to the new creation in Christ. In other words, man's work is always inferior to the superior work of God (cf. Eph. 2:8-10; Php. 3:2-3). 1. They were “without Christ,” or more specifically, they had no national hope of a coming Messiah and Redeemer. *The "covenants of promise" refer to the unconditional, eternal, and irrevocable covenants such as the Abrahamic, Davidic, and New (contrary to the Old, or Mosaic, covenant which was strictly conditional and temporary; see Heb. 8:6, 13). **The phrase "without God" is actually one word in the Greek, atheoi, from which we derive our modern term "atheist." Contrary to how we use the term today, here in this context "atheist" refers to those who worshipped many gods (polytheism) but did not have knowledge of or a relationship with the one true God. *In Ephesians, Paul first mentions the redemption through "the blood of Christ" in 1:7. Regarding the context of Romans 3:22-23, when Paul says "there is no distinction" and "all have sinned," he is referring specifically to both Jews and Gentiles (see chapters 1–2 of the letter; cf. Rom. 10:12). *The phrase "one new man" is a very literal but faithful translation of the Greek: hena kainon anthropon. While some English versions paraphrase to the effect of something like "one new humanity" (NIV, NLT), the word translated "man" is, indeed, singular in the Greek, not plural, and emphasizes the spiritual union of Jews and Gentiles and their incorporation into Christ himself. *On the concept of the "one new man," Hoehner comments, "In the church, Gentiles do not become Jews, nor do Jews become Gentiles. Instead, believing Jews and Gentiles become Christians, a whole new single entity" ("Ephesians," in The Bible Knowledge Commentary, vol. 2, 626). However, before peace could be achieved and the one new man established, Christ had to first break down “the middle wall of separation,” and abolish/nullify “the enmity,” which is also called “the law of commandments [contained] in ordinances.” These three phrases are essentially synonymous: 1) the wall of separation, 2) the enmity/hostility, and 3) the law of commandments. What exactly does Paul mean when he says “the law” is a hostile barrier that prevents peace and reconciliation, not only between Jews and Gentiles (2:14), but also between man and God (2:16)? Furthermore, how do we reconcile Ephesians 2:15 with Romans 3:31 and Matthew 5:17-20? *In a helpful parallel passage (Col. 2:14), Paul describes "the enmity" of Eph. 2:15 as a "record of debt" owed to God. 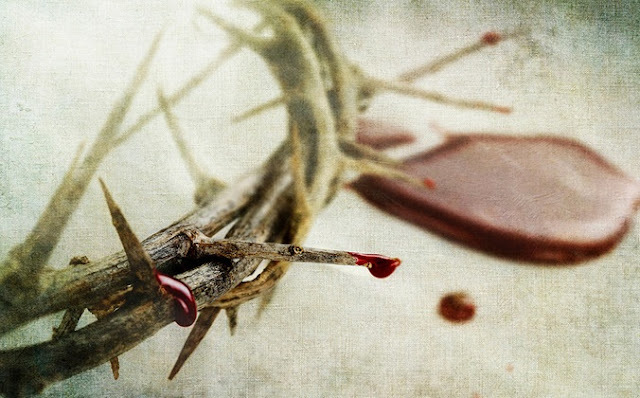 Consequently, the only person who could cancel this monumental debt was the perfect, spotless Lamb of God. To seal the deal and solidify that mankind's debt to God had been canceled (or paid in full), Jesus cried, "It is finished!" (John 19:30). In summary, the One who is peace (2:14), has made peace (2:15), in order to proclaim peace (2:17). Jesus now proclaims the message of peace and reconciliation through His apostles to the rest of the world. When Paul says, “And He came and preached peace…,” the “He” points back to Jesus in the preceding verse. However, to be more specific, the coming of Christ mentioned here refers to the arrival of the Holy Spirit at Pentecost, the Spirit of Christ* who empowers the apostles to carry the message of peace and reconciliation to those who are near (Jerusalem, Judea, Samaria) and to those who are far off (“the ends of the earth,” see Acts 1:8). *The Holy Spirit is called the "Spirit of Christ" in Rom. 8:9; Gal. 4:6; and 2 Cor. 3:17-18. *See also Isaiah 52:7, "How beautiful on the mountains are the feet of the messenger who brings good news, the good news of peace and salvation..." (NLT). Paul uses the same verb found in the Greek text of Isaiah (LXX), euaggelizo, which means "to bring, or proclaim good news [gospel]." In Ephesians 2:18, we see the Trinitarian operation of salvation that Paul previewed in 1:3-14 now condensed into a single verse: Through Christ Jesus, both Jews and Gentiles have equal access by means of one Spirit to the Father. Amazing! The once hopeless Gentiles have gone from worst to first and from outcasts to insiders. They were at one time far, far away from the only God who could save them, but now they have a relationship with their Creator and a key to His house! 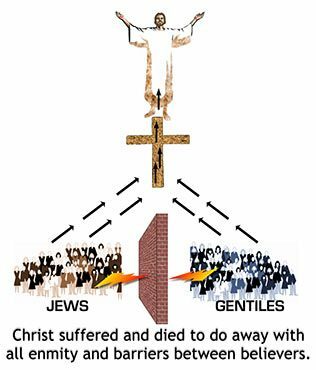 This direct access to the Father by one Spirit was made possible only because of the finished work of Christ and His creation of a new “body,” consisting of Jews and Gentiles united together as one. *The theme of God's household is abundantly clear in the Greek text; Paul uses six compound words in 2:19-22 that stem from oikos, "house." Here are the words in order: paroikos, "alien," 2:19; oikeios, "household," 2:19; epoikodomeo, "build upon," 2:20; oikodome, "building," 2:21; sunoikodomeo, "co-build," 2:22; and katoiketerion, "dwelling," 2:22. All of these oik-words relate to the current dispensation (oikonomia) and our theme verse, Eph. 1:10, "...this union of humanity in Christ is an integral part of the grand scheme of God to consummate all things in Christ" (Kuruvilla, 80-81). *Another point of clarification: While the Church has a heavenly citizenship, this does not mean that the Church replaces Israel or that God has broken His covenant promises to Abraham, Isaac, and Jacob [Israel]. The Scriptures are clear, from the Old Testament to the New, that Israel will one day be redeemed as a nation and enjoy her King—Jesus, the Son of God/Son of David who will reign from the Land of Israel over the rest of the nations in the coming age. For a few NT confirmations of OT promises to Israel, see Matt. 5:5; 19:28; Lk. 13:34-35; 21:24; Acts 1:6; 3:19-21; Rom. 11:25-27; Rev. 7:1-8; 20:4-6. Paul comforts his Gentile readers by telling them that they are not merely leftovers, afterthoughts, or second-class citizens. Though the gospel came to the Jews first (Rom. 1:16; cf. Jn. 4:22), and the very first members of Christ’s body were ethnic Israelites (Acts 2:5, 22, 36), in this current age, Jews and Gentiles are now one in Christ, co-fitted, and “built together” upon a firm foundation. *Key cross-references are found in Isa. 28:16; Ps. 118:22; and 1 Pet. 2:5-7. **Even though false teachers will twist the Scriptures and deviate from the apostles' teaching, Paul encourages his beloved disciple, Timothy: "Nevertheless, God's solid foundation stands firm..." (2 Tim. 2:19). In the context of Eph. 2:19-22, Gentile believers have been built upon this solid foundation, a.k.a., the sound doctrine of the Spirit-indwelled apostles who learned from Christ and kept His word. “All (believing) humanity has been united in one body, the work of Christ removing the condemnation of the law, winning access to God, and building believers together into the dwelling of God in the Spirit” (Kuruvilla, 82). Through the course of Ephesians 2:11-22, the Gentiles started out stuck “in the flesh” (2:11), but by the end, they are now soaring “in the Spirit” (2:22). After studying this week’s section, the various applications to the body of Christ today relate to maintaining unity and peace with our fellow siblings in Christ (cf. Eph. 4:2-5). In 2:11-22, we find that unity does not come from physical circumcision (or water baptism, for that matter). Additionally, peace and unity in the body of Christ is not maintained by eating certain foods, observing certain days, or abiding by a stringent list of “do’s and dont’s” (see Colossians 2:16-23; and check out, or re-visit, Gary's comprehensive post entitled, "The Law"). Unity in the body of Christ requires faith in the finished work of Christ—the belief that the blood of Christ has canceled (or paid) our debt, removing the barrier to fellowship with God and other believers. Therefore, dwelling together according to the gospel is to live continually under the banner of grace and peace (Eph. 1:2). These are the two monumental themes introduced at the beginning of the letter and covered in depth in chapter 2. In the body of Christ, ethnicity, race, genetics, and social status are no longer the focus, and as a result of Christ making peace and creating the one new man, no physical barrier of any kind should drive a wedge between the members of God’s family (unless, of course, a boundary is needed for the sake of discipline). Think about it—Jews and Gentiles for whom Christ died are changed from two into one and from being physically divided by birth into being spiritually united by new birth. We all have access and equal standing before the Father, through Christ, by the power of one Spirit (Eph. 2:18, 22). Amen! 2. Two gospels - Jews vs Gentiles? 3. "One man" - Rev. 12:5!! Nice work brother. I'm enjoying these. Amen, bro! I wanted to make a point about keeping Eph. 2:15 free from paraphrase, because the Greek is very literal "one new man." That way, we can at least try to minimize confusion and connect the dots all the way to Rev. 12:5, where the "one new man" is fully formed and taken up in glory. Thank you for another amazing study! Our Lord Jesus is blessing everyone through your willingness to surrender to Him. Thank you so much, Lita. I appreciate your encouragement! What a thing it is, to be 'called aside'! Krazo! The called-out one! Hello again!